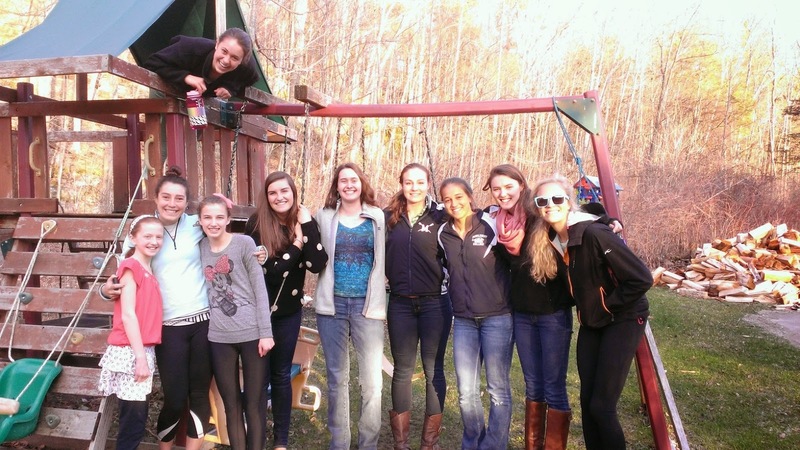 There's been a lot going on this Spring, as usual. 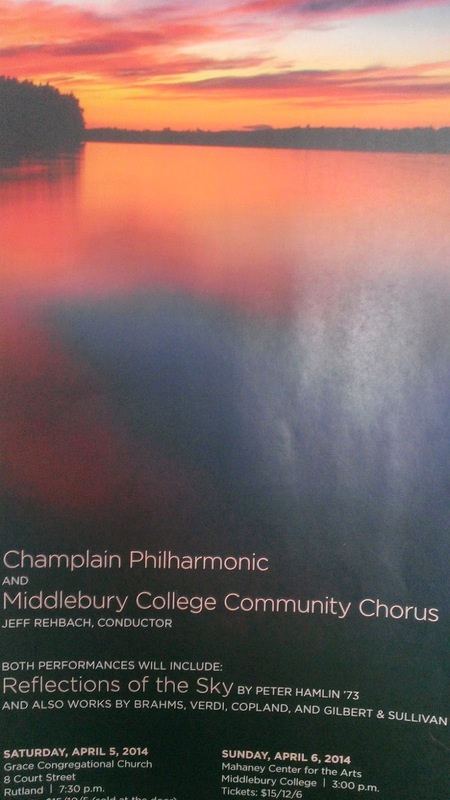 Brian performed with the Champlain Philharmonic and the Middlebury College Community Chorus--see poster. Word on the street was that he rocked the house...We had our 2nd annual Breakfast for Dinner celebration at my house. Relay for Life, which my girls and I participated in, along with several others on the team. We enjoyed hearing Amy and the Mishchords sing, not to mention the memories and stories shared by those that have been particularly touched by cancer, some in memory, and some in celebration of loved ones still fighting. 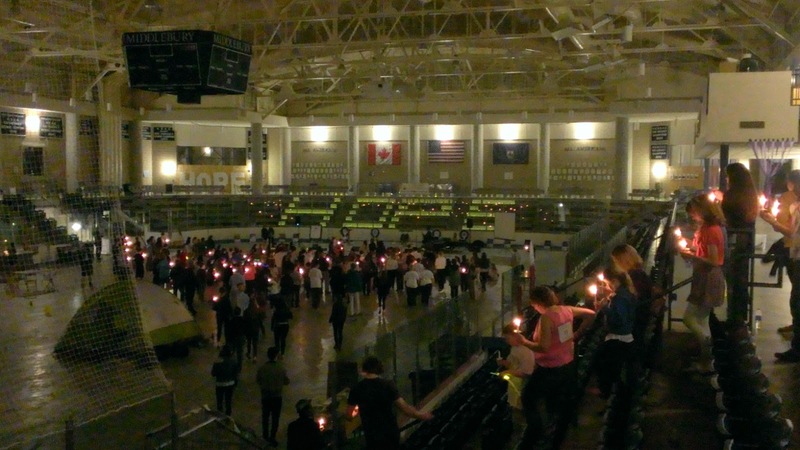 The luminaria celebration is always a touching moment of the evening when everyone walks one lap in silence with candles lit, and then watches the luminaria slideshow highlighting the memory of loved ones lost to cancer, and honoring those still fighting. Kathryn walked several laps with us, and I saw a few others participating throughout the evening. It was a wonderful and meaningful event, which this year was moved inside due to the weather. The crew team finished up the best season in the history of that Program behind the leadership of Lizzy and Olivia, and the Track team has also had a record-breaking season that saw Hannah set a new school record in the long jump, and narrowly miss qualifying for NCAA's by being in the top 25 in the country. Kathryn and Katie and I just finished our Leadership Training work, and Lauren has been diligently training for the Surfer's Path Marathon in Santa Cruz, CA on May 18th. 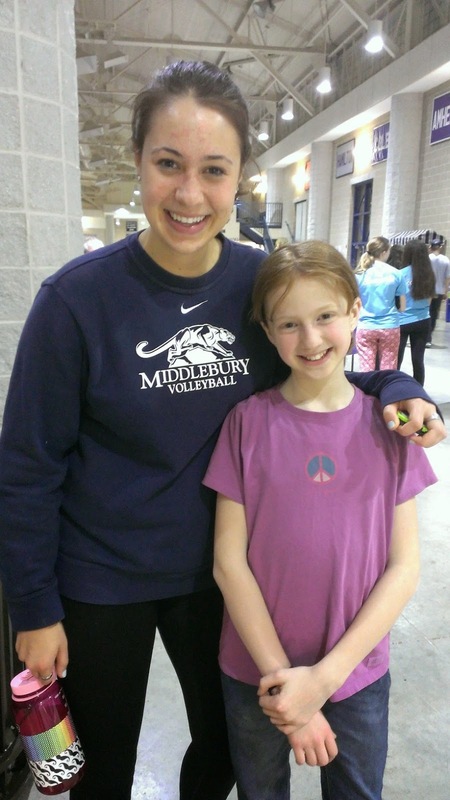 She's raised over $10,000 for the Arthritis Foundation, which is an amazing feat! Here's the link to her fundraising page: Lo's Marathon Fundraiser for Arthritis Foundation. 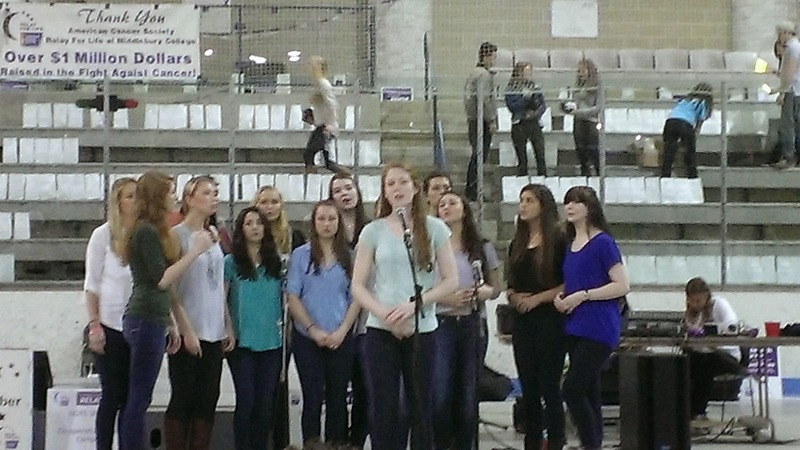 Just before senior week, Amy sang in her final concert with the Mischords, and our seniors have now finished their last finals week at Middlebury. We did get to play golf one more time during senior week before "real life" after MIDD sets in! I'll have the update from graduation soon...it was a gorgeous day amidst all the rain, both before and after...! !